Why does every artist have to drop their album on the same day? For us listeners, it's a challenge to catch up with every new release, especially when it's several different releases from all really exciting artists. So to cut through the noise and make sure you have all of your ducks in a row, we're briefly rounding up the most important albums to listen to this week. If you've been alive for the last few weeks or so, chances are you've heard the name Kacey Musgraves float around - and for good reason. Although she's been making music for half a decade now, her songs like "High Horse" are making music fans everywhere love country. MUST LISTENS: "Slow Burn," "High Horse," "Space Cowboy"
Vessel is the follow up to 2016's excellent Next Thing, and on it, the indie singer-songwriter steps things up a notch... With a whopping 18 tracks. 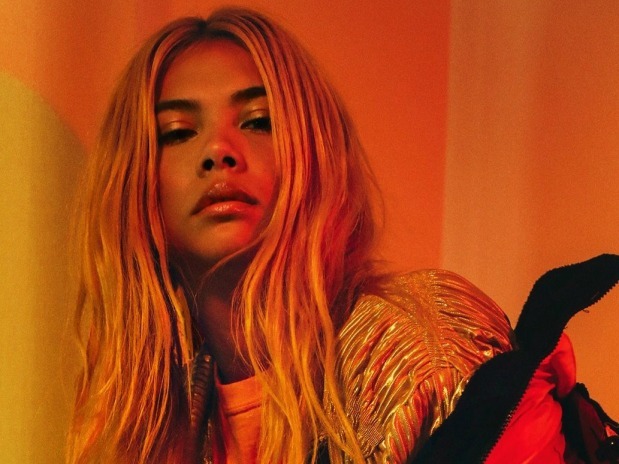 MUST LISTENS: "Cafeteria," "Duet," "Being Alive"
Hayley Kiyoko, dubbed by her fans as "Lesbian Jesus," is officially out with her highly-anticipated debut album, which also featured a collab with Kehlani. On the record Kiyoko said in a press release, "Expectations has a level of maturity that I've never had before. There's a sense of grounded confidence within the lyrics, the melodies, and the production. It's very unwavering. This is what it is. Take it or leave it. It's not that I wasn't confident before, but that energy really exudes through the music now. It represents everything in my life from health to girls to loss." MUST LISTENS: "Feelings," "Sleepover," "Curious"
A few years back, Boston underground rappers 7L & Esoteric teamed up with former Wu-Tang Inspectah Deck to form Czarface, and now the collective has grown by one more with the addition of underground legend MF DOOM. MUST LISTENS: "Nautical Death," "Bomb Thrown"
Angsty UK singer-songwriter is out with her latest album, the follow up to 2013's Girl Talk. She said of the album in a press release, "I want people to have fun listening to this album, and to become comfortable with who they are." You can also watch our concert with Nash from a few years back here. MUST LISTENS: "My Little Alien," "Drink About You," "Life In Pink"
After much teasing, the Julian Casablancas-fronted band is out with the follow up to their 2014 album Tyranny. They also recently made an appearance on The Late Late Show With James Corden. MUST LISTENS: "Pyramid of Bones," "ALienNNatioN," "Pointlessness"
Surprise! The Weeknd dropped a new EP today without any warning. It also came with two videos which can be watched exclusively on Spotify. MUST LISTENS: "Call Out My Name," "Try Me"